In order ‘to explore, conserve and explain the world of plants’ we need to build up our collections, both of living plants and herbarium specimens, especially from under-collected parts of the world. Indonesia is one such place; one of the most biodiverse countries in the world with one of the poorest known floras and facing unprecedented rates of deforestation. Sadie Barber, Senior Horticulturist, and Hannah Atkins, Tropical Botanist, are part of a team working with the Indonesian Institute of Sciences (LIPI) on a two year project to ‘Discover biodiversity and promote conservation of the Indonesian flora’. The collaboration between horticulture and science at RBGE was recently commended by the Scottish Government Visiting Group (2015). 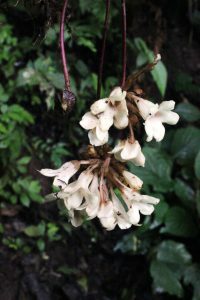 Sadie and Hannah work together on the family Gesneriaceae; growing the collections, analysing the herbarium specimens and using the information to document the species that are growing in Indonesia, including describing species new to science. They follow in a long line of scientists and horticulturists working on this family at RBGE including Mary Mendum and Olive Hilliard – remarkable women who made massive contributions to our understanding of tropical plant diversity. The first fieldwork expedition, with fellow taxonomist Dr Mark Hughes, involved collecting on the island of Sumatra. The fieldwork targeted species of Begonia as well as Gesneriaceae. 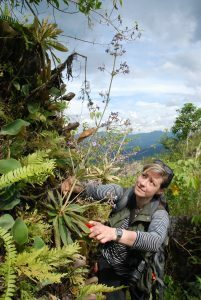 The benefit of collaborative expeditions with both skilled horticulturists and taxonomists is the ability to collect good living material, particularly of sterile plants, found growing without flowers or fruit. These would normally be of less interest as herbarium specimens, since taxonomic determinations tend to rely on flowers or fruits for accurate verification. Horticulturists can collect the sterile material as cuttings, rhizomes, seedlings, bulbs or plants, and keep the plants healthy while in the field. They will then be grown on to flower back at the Garden. This provides a more complete picture of the species growing at a particular location. Horticulturists also benefit from seeing the plants growing in their natural habitat; this valuable information can be used to best replicate growing conditions back at the Garden. In Sumatra, the team visited the Barisan Mountains, home to some of the largest remaining areas of untouched rainforest on the island. 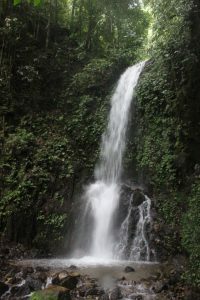 The team collected from limestone peaks, dormant volcanoes, waterfalls and rivers, with primary and secondary rainforest. Collections comprised herbarium specimens, DNA leaf samples, photographs, detailed data sets, and living material where necessary or appropriate. The living material, when released from quarantine, will be grown on to flower and then either identified or described as new. 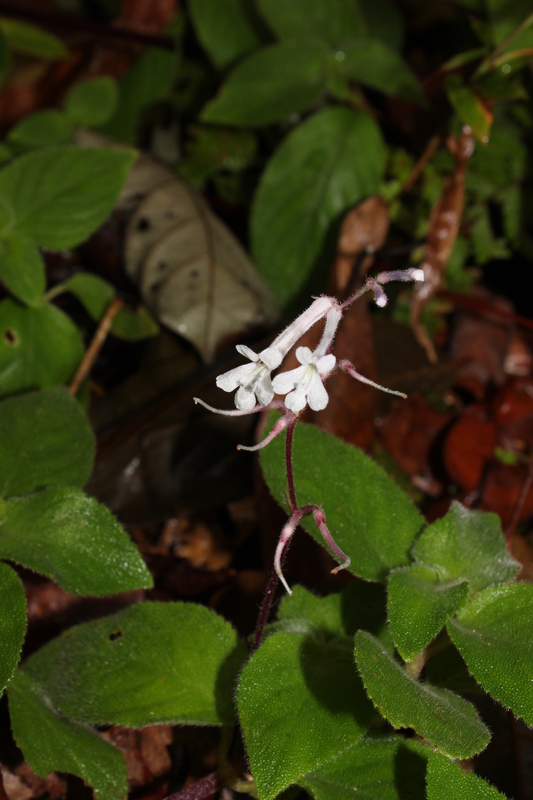 Of the 100 specimens collected, 47 were Gesneriaceae, with 23 of those in the genus Cyrtandra. Hannah is currently working on the taxonomy of the huge genus Cyrtandra (c.800 species), with a focus on the islands of Indonesia, so the collections made on the recent expedition will contribute to the scientific data required for this project. Sadie and Hannah are currently planning their next fieldwork in Sulawesi later this year where they will focus their collecting on the Bogani Nani Wartabone National Park in the north of the island. 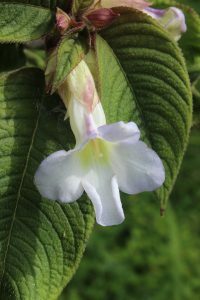 It is expected that further Cyrtandra and other Gesneriaceae species will be found in the Park, along with the other key research groups currently studied at RBGE (including Begoniaceae, Sapotaceae and Zingiberaceae). Check back here at Botanics Stories to hear about the expedition. I am a researcher of medicinal plant from Indonesia. During my exploration to find a speciment from the field, I was found a medicinal plant which was used by local people, but I have no idea with the botanical name of the plants. I think it was a species from Gesneriaceae family. I would like to have contact person who expert on Gesneriaceae to help me to find the correct botanical name of the plant.